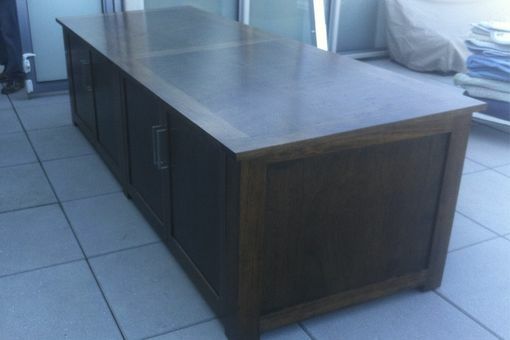 This cabinet was constructed to store outdoor furniture cushions on a roof terrace in Boston. The materials are African mahogany and meranti marine grade plywood finished with an exterior grade oil based coating. The cabinet was constructed to break down into two separate boxes with a removable top panel in order to bring the unit to the roof terrace via the elevator and narrow corridors on the deck.